On the first “Tackle It Thursday,” we want to tackle shoe organization. 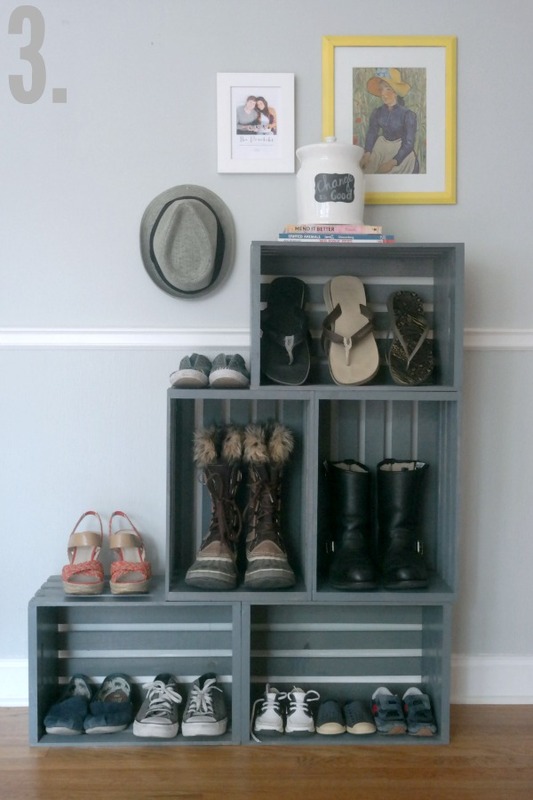 I personally, am in love with the shoe rack I shared in our entry way post earlier this week and the over the door organizers we use in our closets, but there are so many other great options out there. 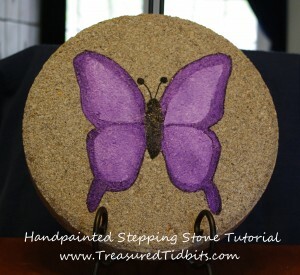 I wanted to share the top ten I found to be the most useful, inexpensive and decorative. 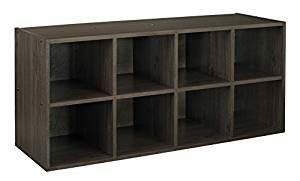 Add wheels, to store under the furniture. Paint and mount to the wall for pops of color. Keep plain and match rustic decor. 2.) 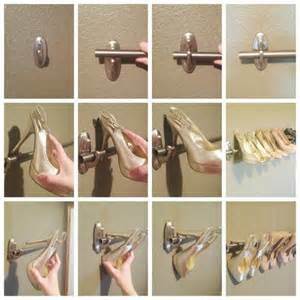 Decorative hooks or pegs on the wall. Attach some lower hooks for the little ones, and higher hooks for the bigger ones. What better way to keep them off the floor and organized? 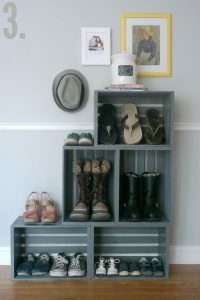 Sawdustgirl offers a great tutorial and more info on how she created the amazing shoe wall in the above photo, here. 3.) Rods on the wall. This is perfect for anyone with heels. You can choose a rod to match your decor. 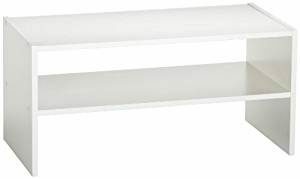 Use pipes or copper for an industrial look; dowels painted to match, for a bright fun or even blended look; and of course, silver for that timeless look. Find the tutorial for the above image, here. 4.) 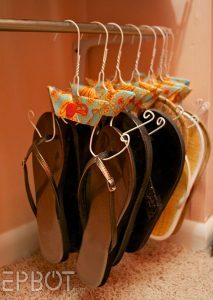 Bend hangers to hold flip flops and lighter weight shoes. I love that we keep it in the entry for our everyday shoes. 6.) 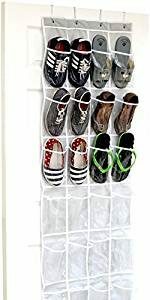 Over the Door Shoe Organizers. These are great because you can find them in all colors and all sizes. They keep your less worn shoes clean and at your fingertips. 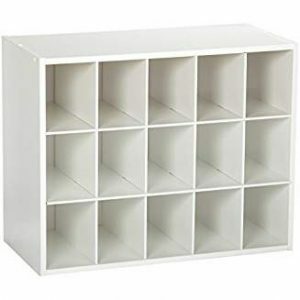 They also don’t take up valuable space in your closet or room. 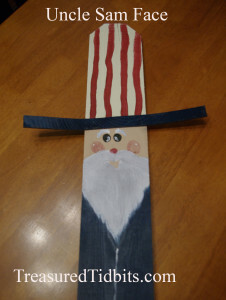 We have one in each of our closets and behind the girls shared bedroom door. The extra spaces we use for belts, scarves and decorative gloves. 7. 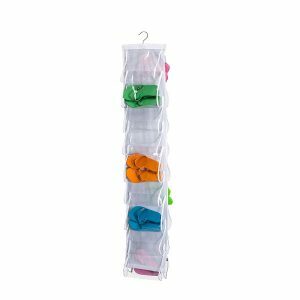 )Flip flop/shoe organizers for the closet rod. 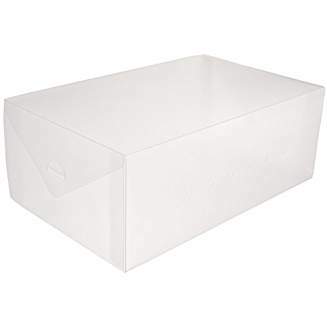 If you are renting, worry about dings in the door frames or don’t have a lot of doors, these can work well for freeing up floor space and keeping your shoes dust free. They will also hold your smaller coordinating wallets and bags. These are available in so many shapes, colors and sizes; you are bound to find one that works for you. 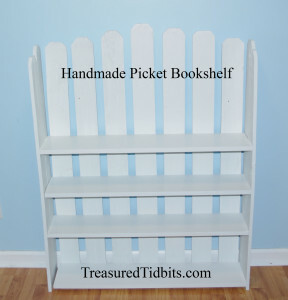 We used a simple one with two shelves for hubby’s extra shoes because they tend to be kind of yucky, and I don’t want them hanging in pockets. We use these for my daughters seldom worn, high dollar boots. I love the fact they are uniform, stack well, are see through and can be labelled. Plus they protect the leather from dust, moisture, cat teeth and hair, but they are vented for freshness. They come in a variety of sizes, so be sure to choose the size suited to you. We have very big feet, so this is very important to those of us at TT. 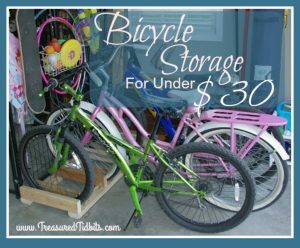 If you do not have closet space, then this under the bed tote is perfect for you, especially if you remember to grab the ones with wheels. The wheeled ones cost a bit more, but believe me, they are worth the investment when it comes to scratched floors or a sore back. 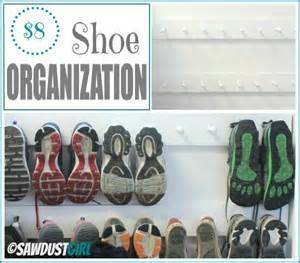 Once again, these are great for keeping your shoes not only organized, but dust free and out of your way. 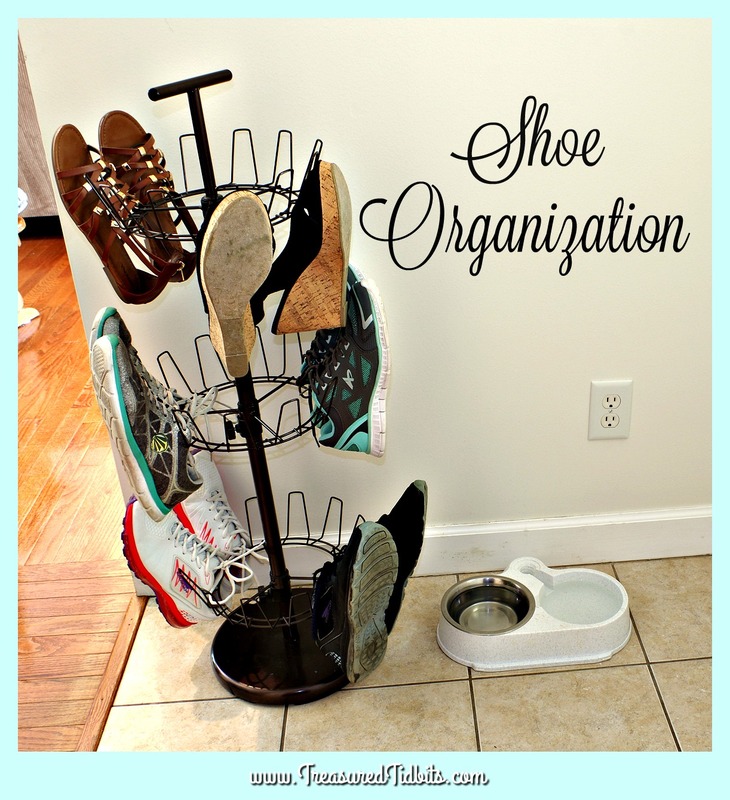 For more great ideas visit our Pinterest Shoe Organization Board, join our Clutter Overcomers Group on Facebook or leave you question or tip below. 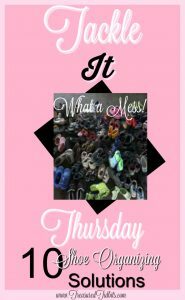 I hope these ideas have inspired you to tackle your shoe organization, so you can stop being frustrated and start enjoying life. Pleas share this post with your friends, pin it for later and share your thoughts below. Remember you can follow us on Pinterest, Instagram and Facebook to discover additional deals, links, websites and receive encouragement for everyday. Disclaimer: Some of above links are affiliate links and may result in a small compensation from Amazon if you click on them, at absolutely no cost or effect to you. To learn more, visit our disclosure policy here.